We all love pets. From happy dogs to evil-plotting cats, to furry kittens and hero dogs. Passing through hedgehogs, fish, anteaters and alpacas. Pets are lovely! 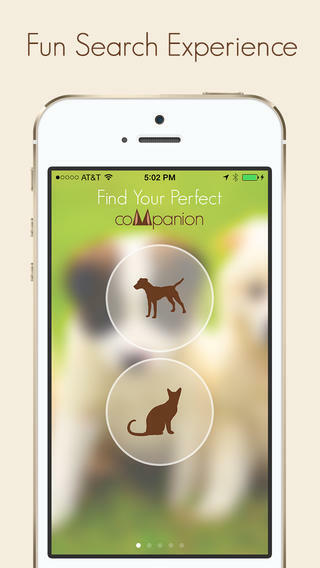 We have teamed with the editors at Animals-Zone to bring you a list of pet apps you’ll like. 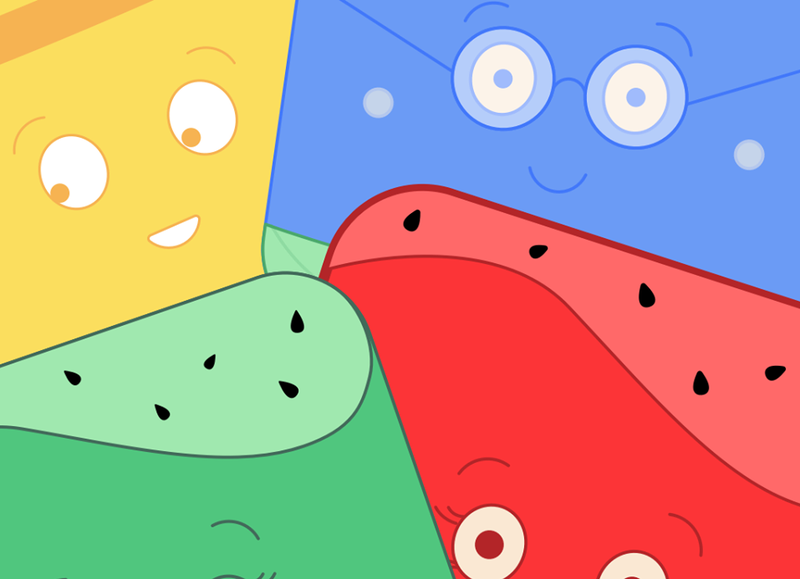 Of course, we can’t find all pet apps: if something you like is missing let us know! Ever wondered what that dog was? Perfect dog: a breed guide is the answer. 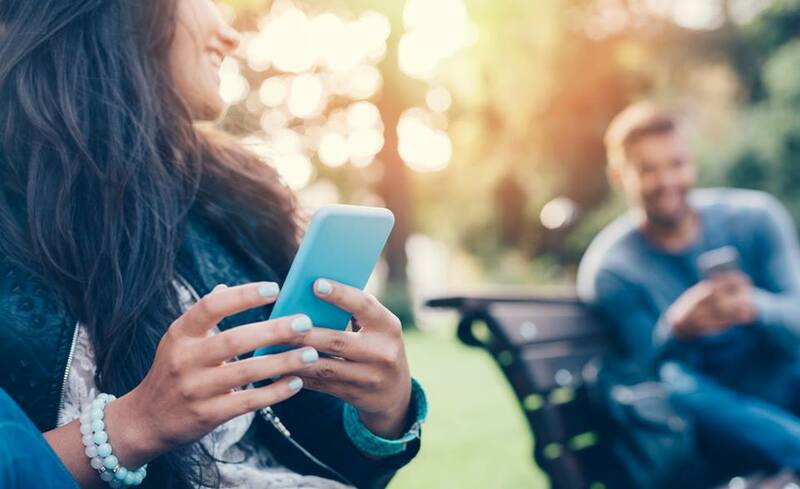 With two wonderful attribute search modes (one for prospective owners and the other just for identifying that random dog,) Perfect dog is a perfect, free app for dog lovers. 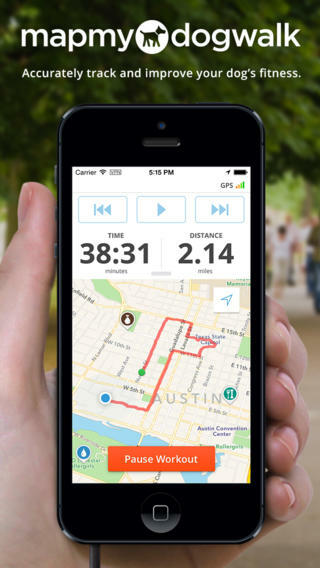 If you’ve ever felt like using RunKeeper with your dog (or if you are adventurous, with your cat,) MapMyDogwalk (weirdly sponsored by Subaru) is the GPS tracking app you want. Simple, intuitive and clean. 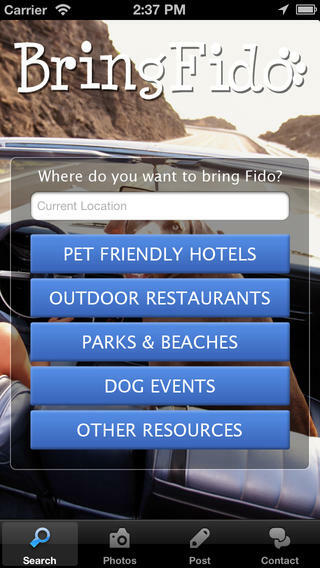 Ever wanted a hotel/leisure search where the focus is pet-friendliness? BringFido is the answer. Of course, most online hotel search engines have this already built in, but sometimes you want a spiffy mobile app for your iPhone instead. Lil Buddy needs to take a pee somewhere. 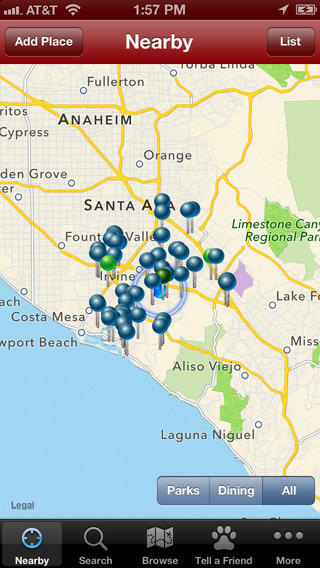 Find where with Dog Park Finder. Of course, you know all dog parks 10 miles from your home, but sometimes you are abroad (maybe with the help of BringFido above?) and then you may need some help. 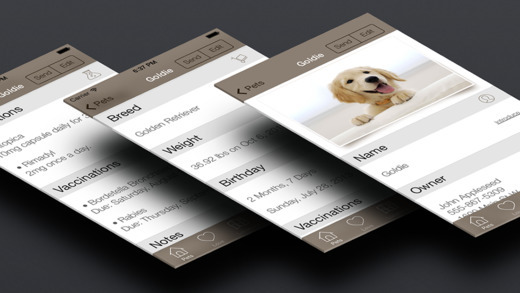 Keep track of all the information of your pet. Weight, breed, vaccinations… Anything you can track, you can track here. PetFetch is far better than a notebook! Save a sheltered animal. Don’t go window shopping for a dog or cat: instead get a furry friend from a shelter, before he has to be euthanised. 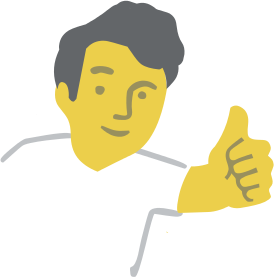 coMpanion has a beautiful interface, helping you find a lifelong friend. Okay, got me. Naming a pet is really hard. Why have a family quarrel over the name of your cord-biter or garden excavator? 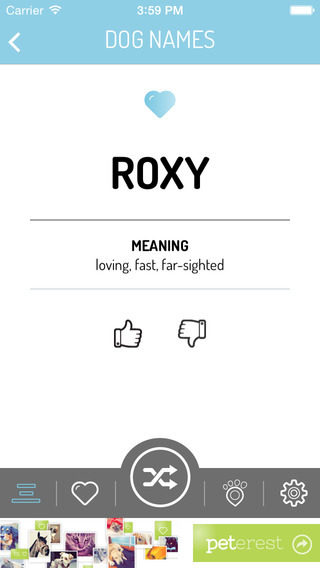 Download Dognames, try shuffle and pick a name. Why not?